It’s summertime in Shoreline and you know what that means — more sun, longer daylight hours, outdoor excursions and activities, and we can’t forget about summer break for the kids! Parents, it’s no doubt this is the happiest time of the year for our children while they play the day away but what does that mean for you? It’s time to kick it into high gear and create a summer checklist of all the things you have to do before your children go back to school. Amidst all the parks, beaches, camping, barbecues, and recreation galore, it’s just about time for your child’s 6 month dental cleaning. How amazing would it feel to see your child’s big, bright smile and know that it’s clean and cavity free also? There’s nothing more we live for! This summer, we’re offering an **EXCLUSIVE** discounted promotion for new child patients under the age of 13. 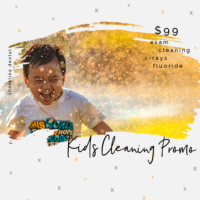 For only $99, your child can get a cleaning, doctor’s exam, necessary x-rays, and fluoride application to ensure the health and longevity of their teeth this summer. 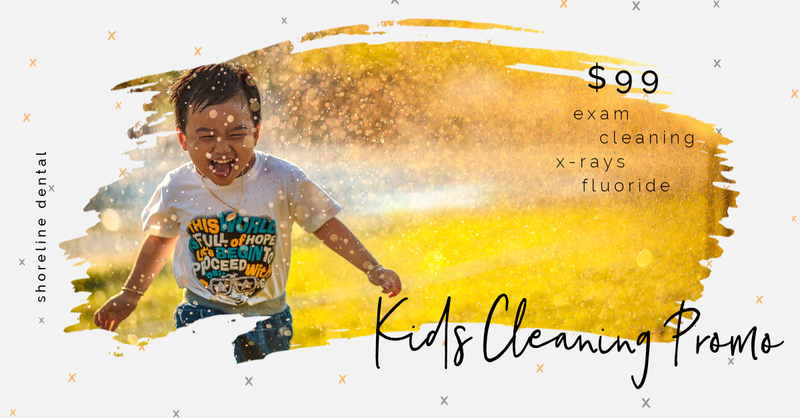 Restrictions may apply so call us at 206.440.0065 for more details on how you can get this package for your kids this summer.